Zopiclone addiction has become more and more common in today’s society. Perhaps this is a reflection of work related and financial problems, as more and more are feeling the pressure of inflation rates and high debts. This leads to many suffering from insomnia; lying awake until the early hours of the morning, unable to sleep as they try to work out their problems in their head. Sleeping tablets offer a solution to those that struggle to sleep and can be very effective when prescribed on a short term basis only. This is due to the fact that they quickly lose their effect and so have a large potential to be abused. It is recommended that sleeping tablets are prescribed for no more than 7 days and should be used to help an individual establish a regular sleeping pattern, after a careful assessment carried out by a qualified Doctor. Addiction Helper receive many calls from individuals and family members who have concerns regarding a Zopiclone and overall prescription drug addiction problems. Statistics indicate that it is on the rise and that there have been many deaths attributed to it, especially when mixed with alcohol or another sedative. The fact is Zopiclone, along with many other sleeping aid medications, are very addictive and can quickly lead the individual to an addiction that eventually takes over every aspect of their lives. 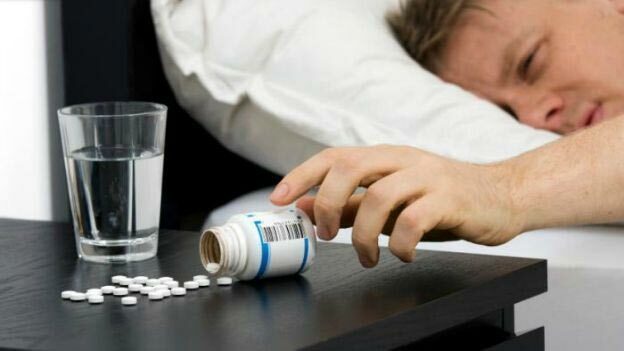 In this article, we aim to educate you around the facts of Zopiclone and the various other brand names is sold under, the addiction potential these medications hold, the dangers associated with abuse and addiction to the drug, the statistics relating to overdose and deaths in the UK, and the help and treatment that is available to help you or a loved one to overcome a Zopiclone addiction. Addiction, of any kind, is potentially deadly to the individual. Don’t be fooled into thinking that prescribed medications are any safer than class A drugs; the reality is they are not when they are abused or taken for long periods. Addiction Helper are passionate about saving lives, so we do our utmost to educate and help individuals suffering from addiction. In fact, we have assisted well over 10,000 individuals to access treatment and support for their individual addiction problem. If you have concerns that you or a loved one may be suffering from an addiction to Zopiclone, or any other kind of sleep aid medication, please call us today or chat to us LIVE online now. We can help you take those first tentative steps towards becoming free from addiction to prescribed sleeping drugs on a permanent basis! 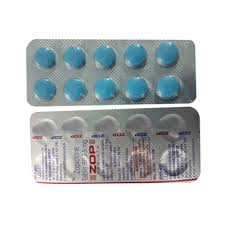 Zopiclone, also distributed under the brand name of Zolpidem and Zimovane is a “Z” listed hypnotic medication, it is not a benzodiazepine. It is used for the short term relief of insomnia or to establish a healthy sleeping pattern. It does however work in a very similar way on the brain as benzodiazepines do. It is different, however, in that it is only used as a sleeping medication. Benzodiazepines have a multitude of treatment purposes, including treatment for acute anxiety and as a muscle relaxant. Zopiclone has a sedative effect that lasts for up to 6 hours, but it will often leave the user feeling tired and “hungover” the next day. It is usually prescribed in oral tablet form that come in two strengths 3.75mg and 7.5mg. Zopiclone is only usually prescribed in acute cases of insomnia for a period of no more than 7 to 14 consecutive days. If taken for 14 days or more, it is likely that a reduction regime will be required in order to avoid rebound insomnia from occurring. Zopiclone should only be taken at night, just before retiring to bed, as it active agents work within 20 minutes. If you do not attempt to sleep in this time, it is less likely to work and just leave you feeling drowsy with reduced anxiety but still unable to sleep. It is this effect that causes many individuals, especially those with anxiety disorders, to seek relief through abusing the medication during the day. As Zopiclone is sedating, it is only marketed as a sleeping pill. It works by causing a depression or tranquilisation of the central nervous system. How Long Does It Take to Get Addicted to Zopiclone? Prolonged use of Zopiclone can cause the individual to build a physical and psychological dependency. The reason for this is that the patient becomes tolerant and the medicine therefore becomes less effective the longer it is used for. It is for this reason that it is generally only prescribed for a maximum of 7 days, 14 days in some cases where the patient is reviewed. It has a great potential for abuse, and statistics show that many in the UK are currently addicted to this drug. Whilst it is slightly less complex in terms of detoxing than benzodiazepines, it can be just as addictive and dangerous when abused and not taken as prescribed. Taken for any longer than 10 to 14 days, it is very likely that the patient will need to be gradually weaned off of the medication in order to avoid a return of the insomnia and other unpleasant and distressing withdrawal symptoms. Once an individual has developed a dependency to the drug, this is when fear kicks in for some individuals; they become terrified of not sleeping again and /or the onset of withdrawal symptoms. Some choose to continue to use it rather than withdraw, even when a Doctor has advised against further prescribing. Those that suffer from anxiety, depression, or have previously had addiction problems in the past, are more prone to this happening and go on to develop and addiction or abuse problem. When this happens they are more likely to take additional pills to gain the original effects and resort to extreme methods of obtaining them; this may include using several doctors to avoid raising suspicion, buying Zopiclone without prescription from the internet, stealing tablets from others, or buying them off street dealers. Once physically addicted to Zopiclone, it is important not to stop the tablets too abruptly, this can result in very unpleasant withdrawal effects that are similar to the effects of diazepam withdrawal, known to be very dangerous. Zopiclone becomes potentially lethal when mixed with alcohol or other sedative drugs and this is the main cause of deaths attributed to these tablets. 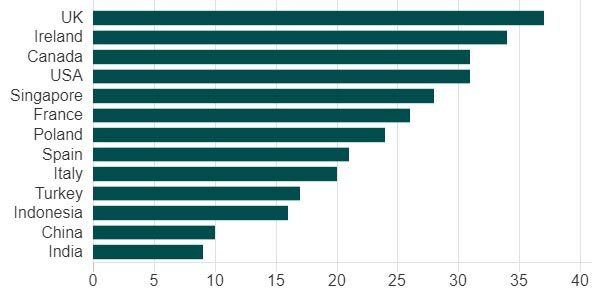 According to the Office for National Statistics (ONS), the number of deaths involving Zopiclone, Zolpidem and other generic forms, has shown a steady increase from 1993, with 100 deaths recorded in 2014. This is a 16% increase from 2013. Prescriptions also increased by 2% from 2013 to 2014. Zopiclone and Zolpidem, because of their potential to be abused, were classified in June 2014 as a Class C controlled substances under the Misuse of Drugs Act 1971. Much like deaths attributed to Benzodiazepines, 8 out of 10 deaths attributed to Zopiclone or Zolpidem, involved another drug (often an opiate, antidepressant or a benzodiazepine), making it difficult to determine the precise role of Zopiclone or Zolpidem played in these deaths. In 2015 -2016, it seems its reclassification has had some impact on the number of deaths, by death rates falling by 13% to 87 deaths in 2015. Whilst the reduction in deaths attributed to this sleeping medication has fallen in the past year, it still shows that there is a lack of education around individuals really understanding the dangers of these medicines when mixed with other drugs that have sedative effects and that doctors should exercise more caution when prescribing them to individuals with mental health problems, such as depression and anxiety, or with alcohol or drug abuse problems – either past or present. Generally speaking, since the Zopiclone and Zolpidem have been classified as controlled drugs, GP’s are much more careful when prescribing them and tend to only prescribe them on a short term basis. This does not however stop individuals from purchasing them off the black market, which is a growing concern for all. The survey was carried out on 1000 randomised individuals aged 18 and over and from 13 different countries. 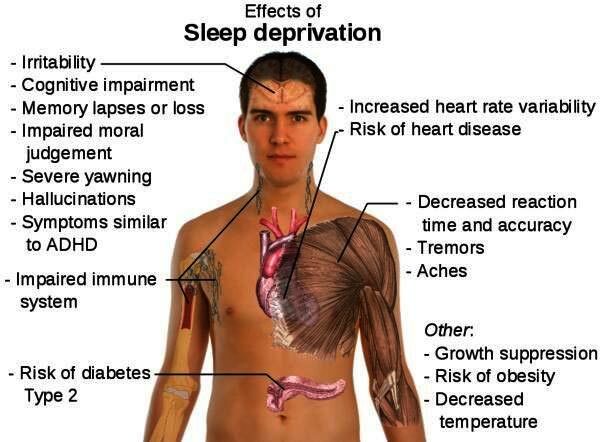 37 % of those surveyed in the UK, reported that they did not get enough sleep. Worryingly the trend is set to continue with 49 % of parents admitting they they did not establish a good bedtime routine with their own children and rewarded good behaviour by allowing them to stay up late. People in India scored the best in the survey, carried out by Aviva, with only 9% reporting that they lacked enough sleep. 29% of all families that completed the survey said that they prioritised improved sleep by reducing sugar intake and having a more healthy balanced approach to diet and exercise. Out of the 13 countries that took part in Aviva’s sleep survey, Britain came out top as the worst sleepers. 25% of Britons said that getting a better night’s sleep was at the top of their list in terms of priority. Achieving good quality and enough sleep is the second most common ambition for all in the UK. Top of the list of ambitions was those that wanted to lose weight or improve their BMI (body mass index). It is those that suffer from insomnia and have a lot of pressure in their life (i.e. work commitments, school runs, juggling mother/fatherhood and work) that are more prone to seeking a quick fix through resorting to medication, alcohol of drugs. 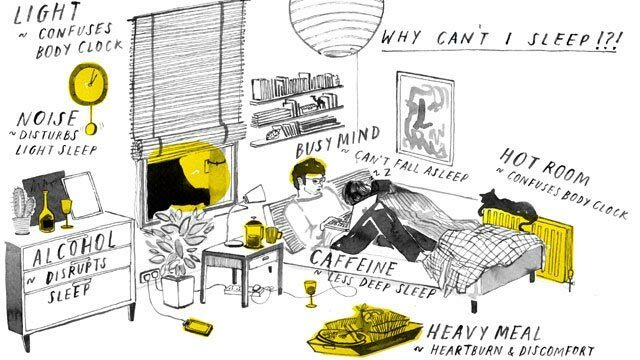 For some, individuals it is a vicious cycle; those who suffer from mental health illnesses such as depression and anxiety disorder, generally struggle to establish a healthy sleep pattern. This can make their symptoms worse and prevent them from getting well, asking a GP for a prescription for sleeping pills seems the most valid solution but is it? And does it help in the long run? How Common Is Zopiclone Addiction? Zopiclone addiction is VERY common; it is difficult to accurately estimate how many individuals who are affected by this particular addiction, due to the black market making a huge impact on the availability of Zopiclone online. 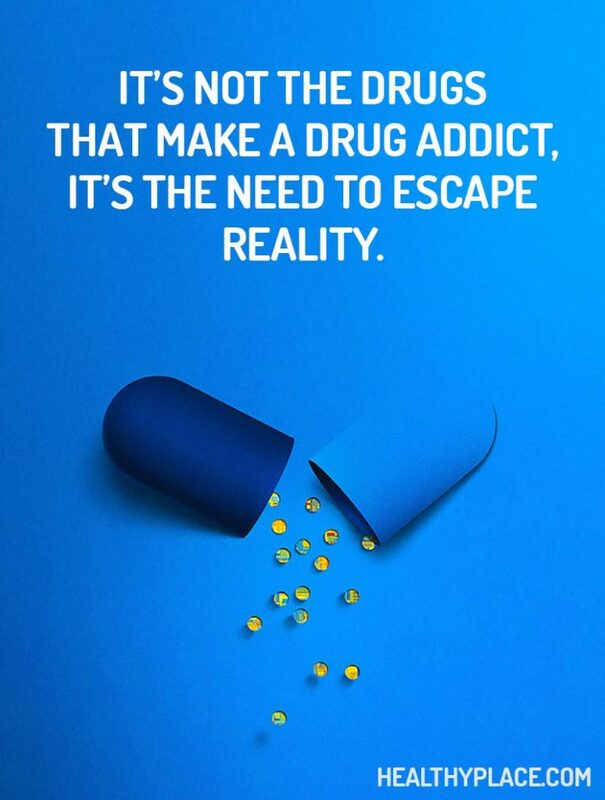 Many see their addiction as harmless as it is a prescribed drug, and so self-justify continuing to take it, even when their prescription has been stopped. Addiction Helper receive many calls from individuals seeking help for a sleeping pill addiction. Eventually, as with all addictions it starts to carry severe consequences to their mental and physical health, their finances and their personal relationships. We regularly receive calls from individuals from all walks of life and all ages, from teenagers right up to elderly individuals in their 70s, wanting help to come off of the tablets. UKAT Addiction Treatment, who are a very successful rehab provider recently told the Independent Newspaper in an interview that was published, that they predict prescription pill addiction will overtake illegal substance addictions such as Heroin. UKAT reported that their admissions for treatment of over the counter and prescription drugs had risen by 22 percent in two years, and that around 65 percent of all individuals admitted, were admitted for an addiction, or problem, with a legal drugs, such as Alcohol, over the counter Codeine and prescription drugs including Tramadol, Valium and Zopiclone. Addiction Helper agree very much with Eytan’s statement and feel that the public need to be educated from school age as to the dangers of over the counter medicines and prescription pills that are often seen as a safe alternative to stronger or illegal drugs. There are many suggestions available to getting a better night’s sleep which you may want to try before resorting to potentially addictive medication. The main causes of insomnia are underlying mental health issues, addiction issues, stress, worry and lack of self-discipline. It is very important to get into a structured routine if you are to overcome a bout of insomnia. Writing down your worries before bed and then setting them aside. Cognitive Behavioural Therapy – CBT looks at the root causes of the insomnia and helps to challenge and change your thinking around them; it can be very helpful especially if you are suffering from specific issues that are causing you problems with sleep. CBT has been proven to be more effective than Zopiclone, with the effects of CBT to be long lasting also. Count your blessings, reflect on your day and list the things you are grateful for, in your head or on paper. This puts your mind into a positive and peaceful frame before attempting to sleep. If you have tried all of these suggestions and are still unable to establish a healthy sleep pattern, please speak to your Doctor. Even medically there are alternatives to Zopiclone and it is important that if you have underlying depression or anxiety that this is appropriately addressed. If your Doctor does prescribe Zopiclone or a similar sleeping medication, ensure that you follow the instructions and take them only as prescribed. Do not attempt to self-medicate your insomnia through alcohol; which may help you get off to sleep, but produces very poor quality sleep, leaving you feeling tired and hungover the next day. 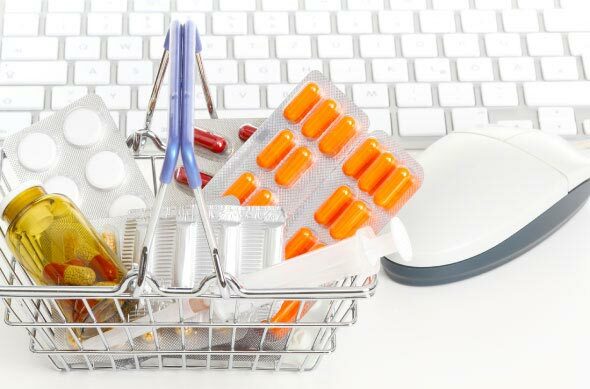 We also strong advice against purchasing medications from the internet that would normally only be prescribed in the UK. It is possible to achieve a natural sleep without resorting to likes of sedative medications. It may take time and perseverance, but you can retrain your brain, mindfulness meditation is very effective in retaining the brain’s cognitive pathways as is CBT therapy. Zopiclone is a temporary fix and does not deal with any underlying issues that may be causing your insomnia. They are usually generic, meaning that they are very rarely the same as the ones you would get prescribed by the Doctor in the UK; many are shipped in from all over the world, and you do not really know what is in them. We would strongly advise against purchasing Zopiclone from any source. It should only be prescribed and taken under medical supervision. If you are sourcing Zopiclone by any other means, it strongly indicates you have a problem. That being the case, please do call us for help, our lines are open 24/7 or you can chat to us LIVE online. Don’t risk your health or life for the sake of a night’s sleep. Becoming addicted to Zopiclone, psychologically, physically or both, can be a very difficult addiction to break. Addiction feeds on fear, and many individuals that develop a dependency do so because their fear of not sleeping overpowers their fear of becoming addicted. 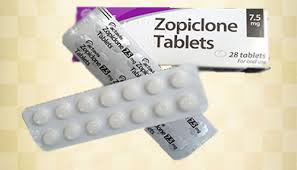 Zopiclone can have a lot of adverse side effects including: drowsiness the next day, impaired cognitive function, change in taste buds, nightmares, nausea, dry mouth, lethargy, foggy head and unclear thinking, muscle weakness and heavy limbs, depression, demotivation and forgetfulness. Due to tolerance to Zopiclone developing quickly, someone with a physical dependency will find that they need more of the drug in increasing amounts to gain the initial effects. Zopiclone is a drug that creates chemical dependency in the body and brain. In an individual that has become tolerant to a dosage (no longer gains the desire effect) their body and brain have chemically adjusted to having a certain amount and the medication stops working. They have two choices at this point; they either wean themselves off the Zopiclone with their doctor’s advice and support, or they increase the amount they are ingesting. If they increase the amount, they will become tolerant to that dosage and thus their addiction will grow. Addiction is a real mental health illness and classed as a “chronic relapsing brain disease” For some, this medication will trigger their brains to chemically react very differently from others and they will eventually lose all control over their Zopiclone consumption. Along with loss of mental and physical control, they are very likely to suffer negative consequences in other areas of their life; such as their work, finances, physical and mental health and their relationships with others and with themselves. Some develop an addiction so badly that they become completely withdrawn and depressed; they lose all hope and cannot see any other way out of their pain and suffering, other than taking their own life. We wish to reassure you that if you do have a Zopiclone addiction, that there are very effective treatment options available and that there is definitely a way out! We can help you or a loved one to find the perfect treatment package that is likely to be the most successful, according to your individual circumstances and treatment needs, so that you or your loved one can become free from Zopiclone permanently. If any of the withdrawal symptoms highlighted in red develop you should seek urgent medical attention. Are You or a Loved One Addicted to Zopiclone? You/they have suffered negative consequences as a result of Zopiclone, financially, emotionally, physically and to personal relationships; yet still feel compelled to carry on using them. If you or a loved one are exhibiting any of these symptoms, it is likely that you or they have an addiction to Zopiclone that requires immediate professional help. Addiction, if left untreated, always gets worse over time, never better. This is especially true of those that find they are unable to stop their compulsion to take more. 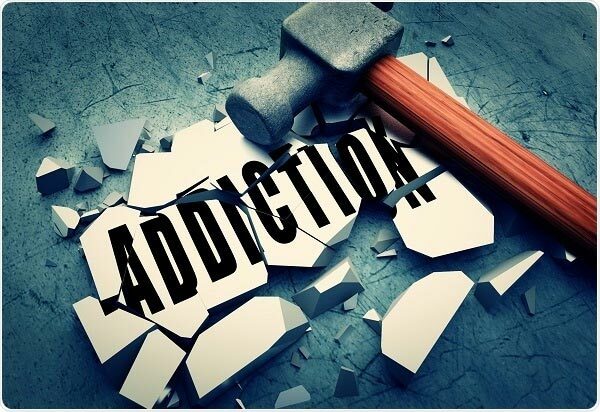 A dependency to a substance or medication, does not necessarily indicate an addiction; it is the behaviours, thoughts and feelings of the individual that defines if they have an addiction. Those with a tolerance or dependency only, will find that they are able to taper off and stop without too much difficulty; they may suffer withdrawal symptoms but do not use this as a reason to carry on taking the medication. Once detoxed their life then generally improves all round. Those that suffer with addiction, will find it practically impossible to stop of their own accord, due to the illness residing in the individual’s mind and compelling them to keep on taking it. If they do manage to stop, they are prone to relapsing, unless they deal with the issues that are underlying their compulsive need to escape themselves and life. Addiction is an illness of the body AND the mind. The psychological aspect of the illness MUST be addressed and treated comprehensively, if the individual is to stand any chance of achieving a happy and healthy life free from substances and addictive behaviours. Driving whilst impaired under the influence of any drug, even prescription medications such as Zopiclone, is classified the same as drink driving. Zopiclone can seriously slow down your reactions, impair your cognitive decision making and cause drowsiness. With some drugs, if still affected, it is illegal to drive the next day also. It is important, that if you are negatively affected with drowsiness or any other side effects that may affect your ability to drive safely, that you do not drive. Being caught by the police and being considered unfit to drive can carry heavy penalties and fines, not to forget the fact that you are putting yourself and others at great risk! What Help Is Available on the NHS and Can I Get Free Rehab for Zopiclone Addiction? Because Zopiclone is a prescription medication, and therefore not readily recognised as a dangerous drug, there is little in terms of intensive help in the community. This is not good news for an individual that suffers from an addiction and dependency to Zopiclone that requires high intensity support for the duration of detox and comprehensive treatment for the psychological aspect of addiction. Are There Meetings for Zopiclone Addicts and Their Families? There are a number of self-help groups available that can be accessed for free; Narcotics Anonymous cover all drugs, including prescriptions pills, you can find a meeting near you by visiting their page. Smart Recovery groups are also helpful in providing support and motivation. There are also a number of support groups for families of those with an addiction problem, they include ADFAM and FamAnon. You will be in a safe, recovery focused environment, away from temptation and the stress of the outside world; allowing you to focus solely on getting well. Furthermore all of the rehabs that Addiction Helper work with offer 1 year free aftercare as part of an ongoing comprehensive recovery package. We also offer the family support, as recognise that the family are an integral part of the individuals on going recovery and they too will need help in understanding addiction and healing the past. For an individual who has an addiction to Zopiclone, it is essential that they seek both medical and professional psychological help. Addiction Helper are able to facilitate immediate and same day admissions for those in crisis. Some individuals need to be taken out of the toxic environment they have submerged themselves into, away from temptation and the daily pressures of life in order to make a full recovery. Addiction Helper strongly recommends inpatient medical detoxification and rehabilitation for this particular addiction, due to the dangers and complications that can arise whilst withdrawing from Zopiclone. This is especially important in cases where there is a high level of Zopiclone dependency, a dual diagnosis, or where there is another dependency to alcohol or drugs present. Addiction Helper specialises in treating addiction; we understand that addiction is both a physical and mental illness and that both aspects need to be comprehensively treated in order to avoid relapse. By calling us, you will receive a comprehensive assessment free of charge, conducted by one of our addiction treatment experts; who will then make an informed decision as to the best and most successful treatment options available to you. We take all factors into consideration when treating an individual’s addiction, to ensure that you are happy with your choice of rehab and that you have the best chance of a full and long term recovery. We can find you or your loved one the ideal treatment plan and rehab facility in which to recover from an addiction to Zopiclone and any other addictions or illnesses that are presenting. 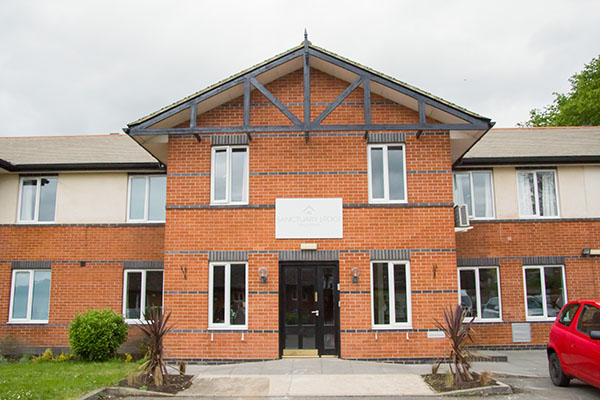 We offer specialist inpatient treatment ranging from affordable to luxury detox and rehabilitation, with locations all over the UK and also overseas. We also offer short term and long term programmes, including secondary, extended tertiary care and sober living accommodation. The duration of treatment required to get you or your loved one well, will depend on individual circumstances, the severity of the addiction and if any other substances or illnesses are involved. We are also able to fully treat co-occurring illnesses such as Depression, Anxiety, Eating Disorders, OCD, Trauma and Posttraumatic Stress (PTSD). These conditions often underlie a substance or activity addiction, so it is imperative that they are all treated simultaneously and comprehensively. Following a successful medical detoxification from Zopiclone, the individual will then ideally undergo a full rehabilitation programme to address the psychological aspect of their addiction. Our rehabs are staffed by experienced and fully qualified addiction treatment experts, many of our staff are in recovery themselves, so have a unique insight and understanding of the addicts brain and associated maladaptive and destructive behaviours. Our Zopiclone addiction rehab centres only deliver the latest in evidence based addiction therapeutic and medical treatments such as: a full medical detox, one to one counselling, process groups, trauma therapy, CBT, DBT, 12 Step therapy, group therapy, educational workshops, relapse prevention techniques, mindfulness, meditation, fitness programme, healthy eating programme, holistic programme and much, much more! Each individual’s rehabilitation treatment programme is specifically tailored to their individual medical, physical, social, emotional, spiritual and psychological treatment needs. We treat the individual as a whole, using person centred treatment techniques. Failing to treat the psychological aspect of a Zopiclone addiction and the issues underpinning it, will usually result in relapse. For this particular addiction, full inpatient residential detox and rehabilitation provides the individual with the best chance of staying permanently free from Tramadol and other addictive substances or medications in future. Furthermore, all patients that complete their Zopiclone treatment programme will also receive 12 months complimentary aftercare at their chosen rehab. We consider this a vital ingredient to the individual’s ongoing recovery and growth. It also assists with keeping the individual inspired and engaged in the recovery process and helps them to overcome any problems and challenges they may be facing back in their home environment. Zopiclone addiction and abuse can kill and it can affect anyone; if you or a loved one are suffering from a Zopiclone addiction or an abuse problem, it is important you seek help immediately. Call us now, or chat to us LIVE online; we are open 24/7 and waiting for your call. We can help you take the first steps in breaking free from Zopiclone addiction permanently!